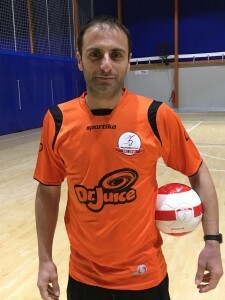 Career as a player - Started his playing career with Marsa FC and then joined Zejtun FC for one season before moving to Futsal with Kerygma Crystal Futsal Club. He also had spells with Southenders, Paola Downtown F.C., Pentagon Properties Futsal and Luxol Futsal Club. During season 2014/15, Paul played in the 1st division with Naxxar Lions Futsal Club. During Season 2015/16, Paul joined Sliema Futsal with whom he played for 2 seasons, winning the Futsal League 1st Division in both seasons. Paul retired from Futsal following season 2016/17 due to a knee injury. Paul also formed part of the National Team for 5 years. Career in coaching – Paul has been coaching at the Malta Futsal School since September 2010, opening of the school. For the past two years, Paul is also one of the Youth coaches at B’Kara Football Club Nursery. Qualifications – Paul is in possession of Coaching Young Footballers (CYF) License and the Uefa C License.